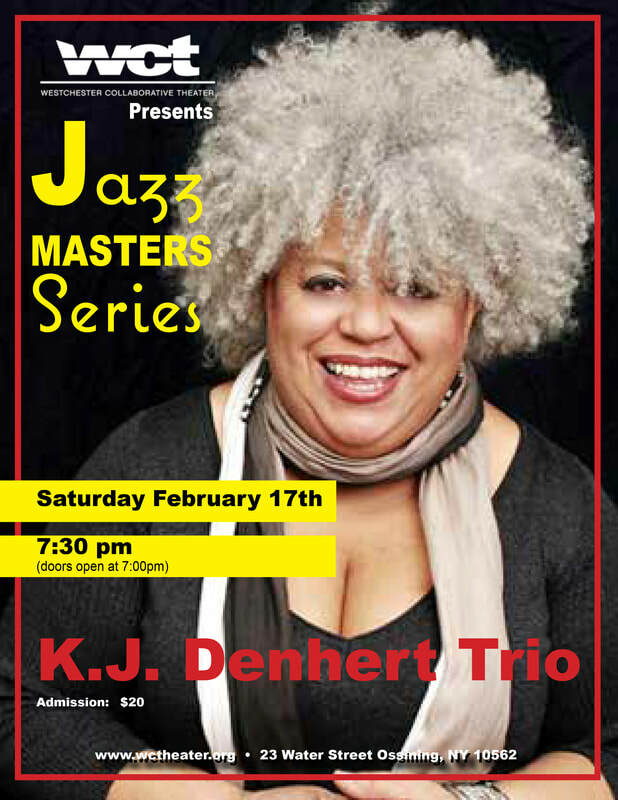 WCT welcomes back local Ossining music legend KJ Denhert and her duo for the 2018 Jazz Masters Series. ​​KJ’s performance will move you to laugh, to dance and even to cry. Her special blend of urban folk & jazz has earned her four Independent Music Award nominations and in ’09 she was named one of Jazz.com’s top female vocalists. KJ has appeared at scores of festivals and has residencies at the ’55 Bar’ in NYC and the ‘Baz Bar’ in St. Barts. She also recently completed seven consecutive residencies at the prestigious Umbria Jazz Festival in Italy. She performs solo, duo and with her full band. Consistently praised for her pathos, originality and impeccable musicianship, KJ is one of a kind and not to be missed.